25 Minute One-on-One counseling sessions available. $45 each or Package of 6 for $225. 25 Minute One-on-One counseling session. Let our expert clinicians continue to help you achieve the results you have been searching for. We will be with you every step of the way making sure that you stay motivated and on track with your goals. Save with a package of 6 counseling sessions for only $225. 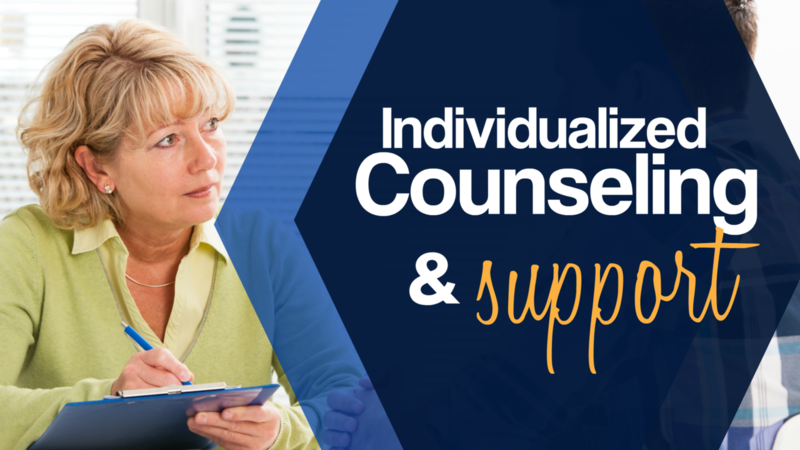 25 Minute One-on-One counseling sessions. Let our expert clinicians continue to help you achieve the results you have been searching for. We will be with you every step of the way making sure that you stay motivated and on track with your goals.